The established team of EPP environmental fate scientists have extensive experience gained from supporting global clients. 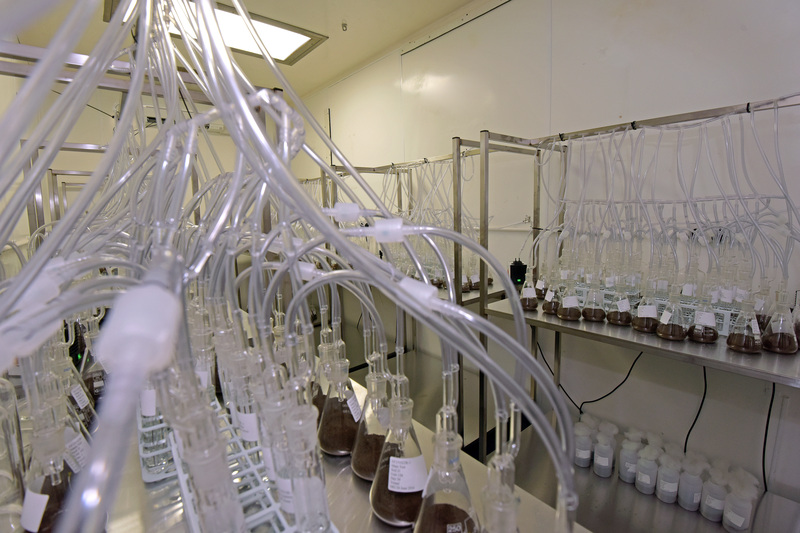 We offer the full repertoire of studies across soils, sediments and natural waters, all conducted to GLP. EPP can support the testing of human and animal pharmaceuticals, agrochemical, biocides and industrial chemicals. Operating from our purposefully designed facility, we have developed long term partnerships with our clients by being communicative and responsive to requests. Our environmental fate scientists are highly experienced and focus on delivering quality within realistic timelines. They specialise in working with new actives, which can be poorly soluble, unstable or UVCBs and also supporting registrations which require data gap fills. At EPP, all studies can be undertaken using radio labelled substances such as 14C-labelled and 3H, as well as non-labelled. The environmental fate service is supported by a range of analytical capabilities such as LSC, radio-HPLC, HPLC-UV and LC-MS/MS. Should you require bespoke testing, we have the capacity and know-how to help, please contact us. Superb facilities and technical equipment capabilities enable us to handle complex or urgent projects with ease.